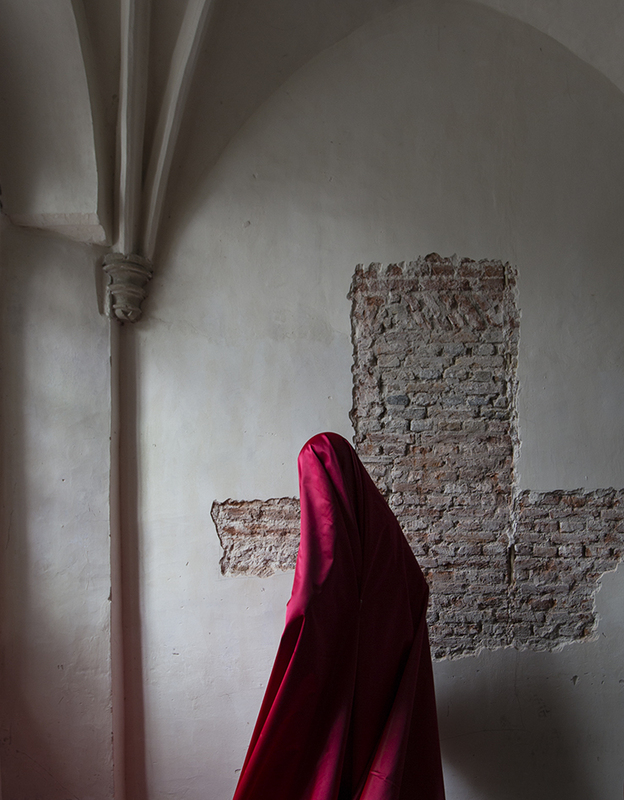 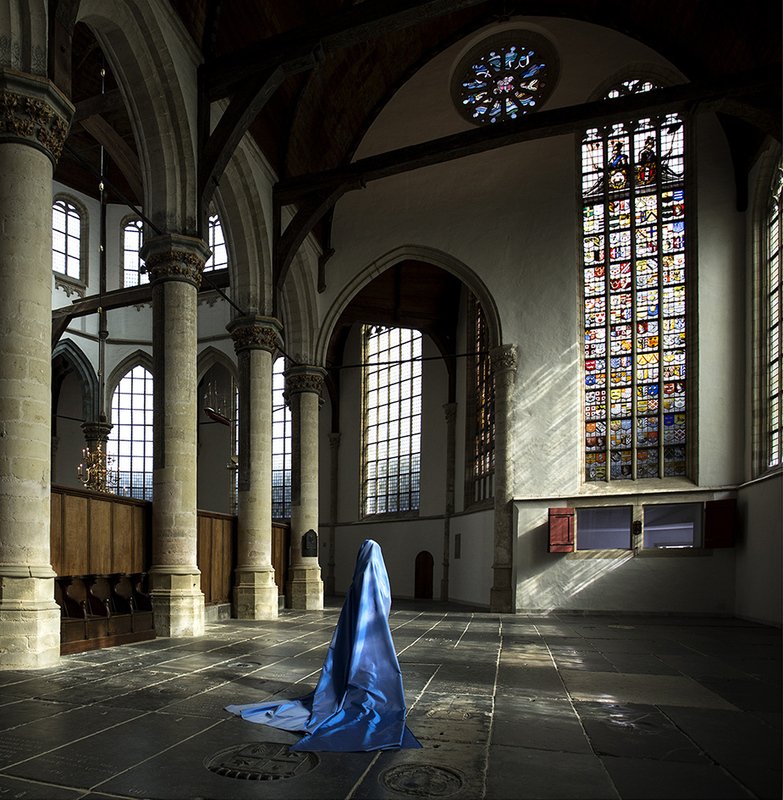 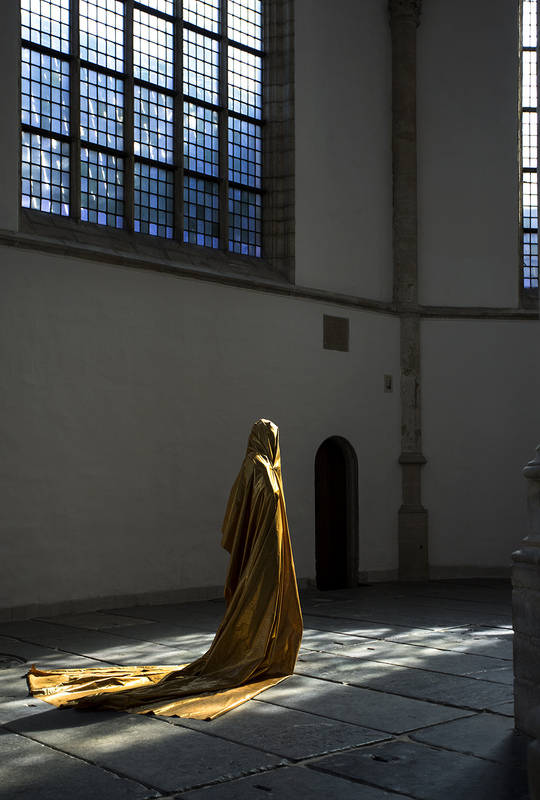 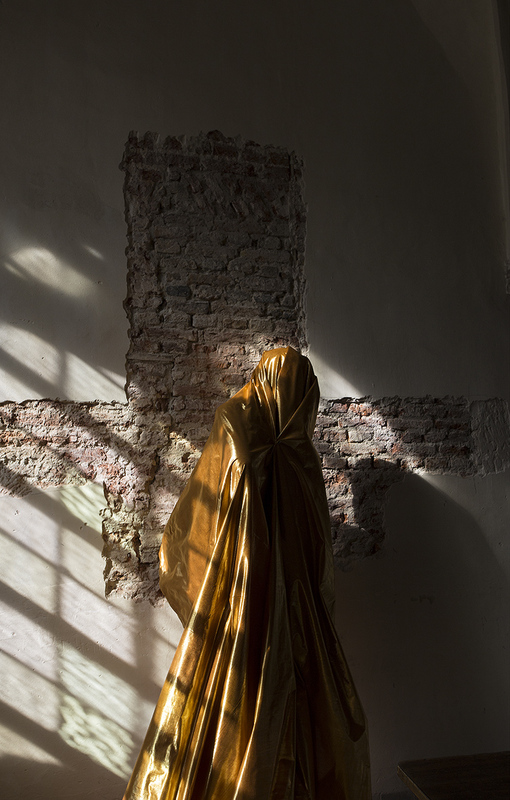 Güler Ates’ works at Oude Kerk focus on the history and architecture of this stunning church. 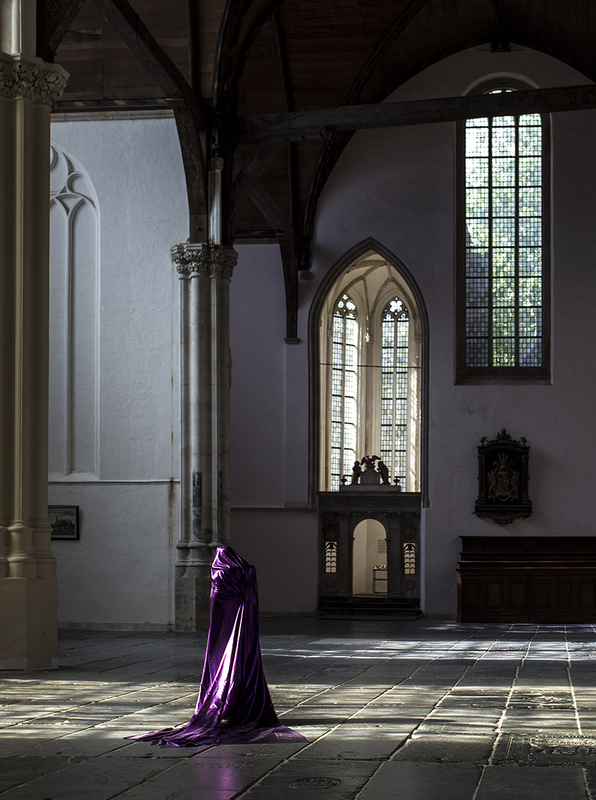 Ates was struck by its beautiful interior, the scale of the Church and the quality of light which offers a new direction in her work. 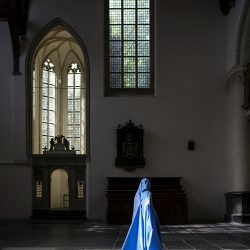 Ates is drawn to Dutch Old Master paintings and Dutch architecture. 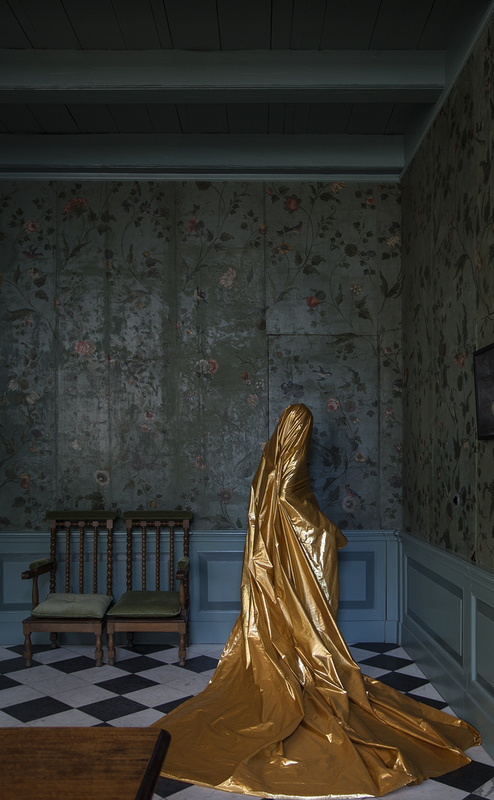 The darkness and intensity of her works are reminiscent of these masters of painting. 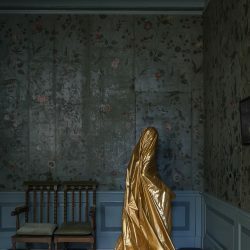 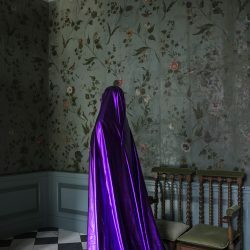 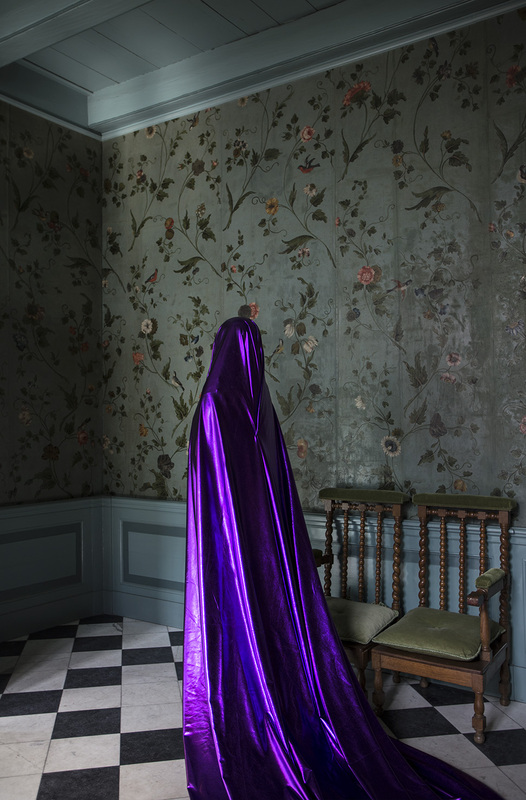 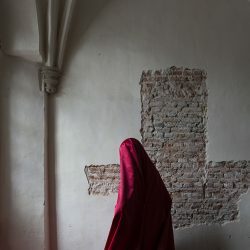 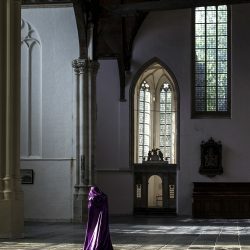 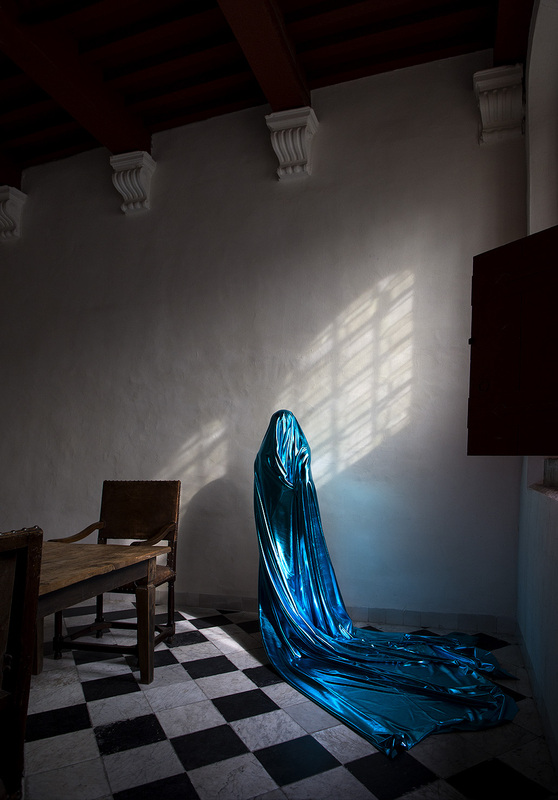 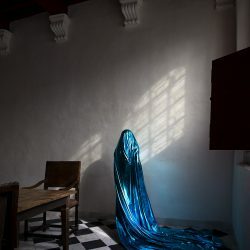 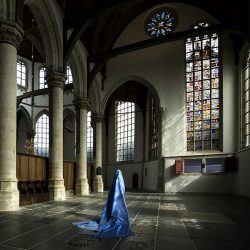 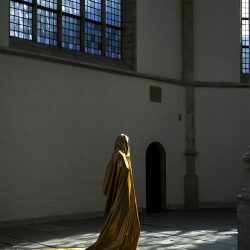 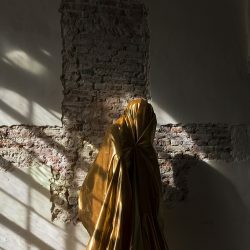 With her work she wants to question the relationship between the veil and the West, and by setting the female veiled figure within an European interior she subtly refers to the West’s interpretation of the veiled woman and refers back to the European traditions of veiled women as found in the work of Old Masters such as Vermeer. 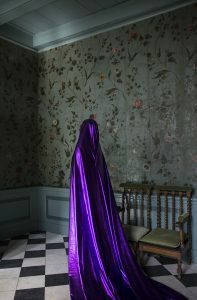 Ates sources the fabric and makes all of the luscious silk costumes worn by the model. 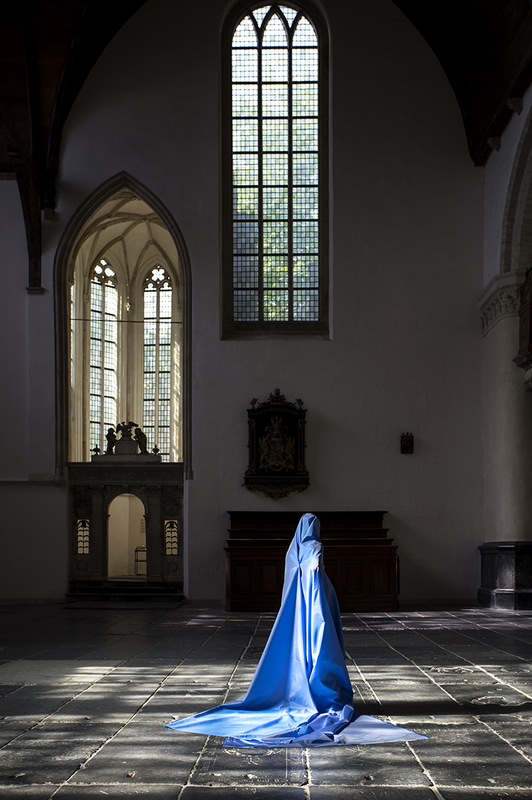 She photographs with natural light only after scrupulous research into the history of the building. 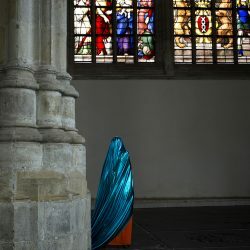 It is up to the spectator to discover the relationship between the figure and the location itself and trace the unfolding narrative. 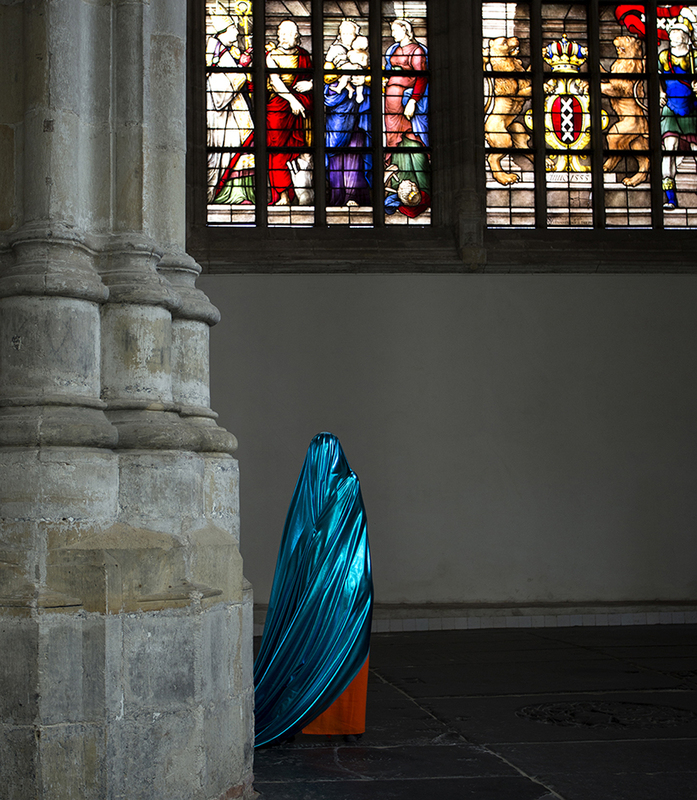 Previously, Ates made a series of work at Huys te Warmont and she will be extending the subject matter through new works at the Museum Van Loon which will by presented in September 2017.